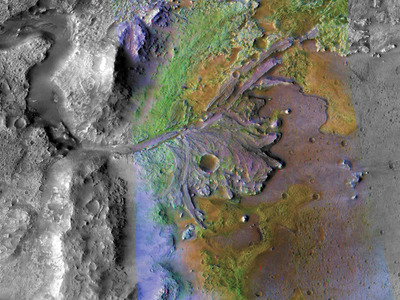 NASA/JPL-Caltech/MSSS/JHU-APLNASA will attempt to land its Mars 2020 nuclear-powered rover in Jezero Crater. NASA hopes to dig up and store Martian soil samples – for the first time in human history – for a future launch back to Earth. NASA has finally announced where it plans to land the Mars 2020 rover and dig for signs of alien life in the red planet’s soil. The car-size robot is expected to land inside the 28-mile-diameter Jezero Crater, an ancient impact site located just north of the Martian equator. It was one of more than 60 sites that NASA internally analysed and debated over a number of years. “This area, with a history of containing water, may have ancient organic molecules and other potential signs of microbial life from billions of years ago,” Jim Bridenstine, the administrator of NASA, said in a tweet on Monday. NASA’s Mars 2020 rover is made from a backup of the Curiosity rover, which landed on Mars in August 2012 and has roamed the red planet on nuclear power ever since. But the new six-wheeled robot will come with vital upgrades to its wheels and – most importantly – be equipped to “collect rock and soil samples and store them in a cache on the planet’s surface,” the agency said in a press release. 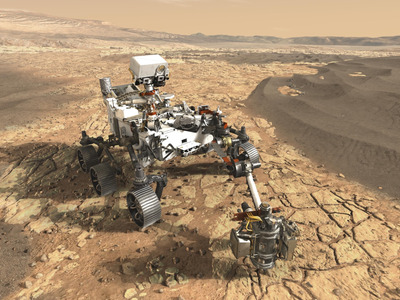 NASA/JPL-CaltechAn illustration of NASA’s Mars 2020 rover exploring the Martian surface. This canister of soil and rocks, if successfully stashed, will be the critical first leg of an unprecedented, multi-mission effort to collect and launch the first sample of Mars back to Earth, where scientists would be able to analyse it in detail. ESA/DLR/FU Berlin/Emily Lakdawalla (CC BY-SA 3.0); Business InsiderThe Jezero Crater landing area is located near a winding river and delta. Jezero Crater, which is about two-thirds the size of the US state of Rhode Island, was officially named in 2007 after a town in Bosnia and Herzegovina. The name means “lake” in several Slavic languages, and it is no coincidence; the impact site was once rich with liquid water. Like Curiosity, NASA plans to use a death-defying “sky crane” system to plunk the 2,315-lb robot on the Martian surface. However, the sky crane for Mars 2020 will come with a massive artificial-intelligence-powered upgrade, called “terrain relative navigation,” which could help the robot avoid hitting any hazards as it lands. 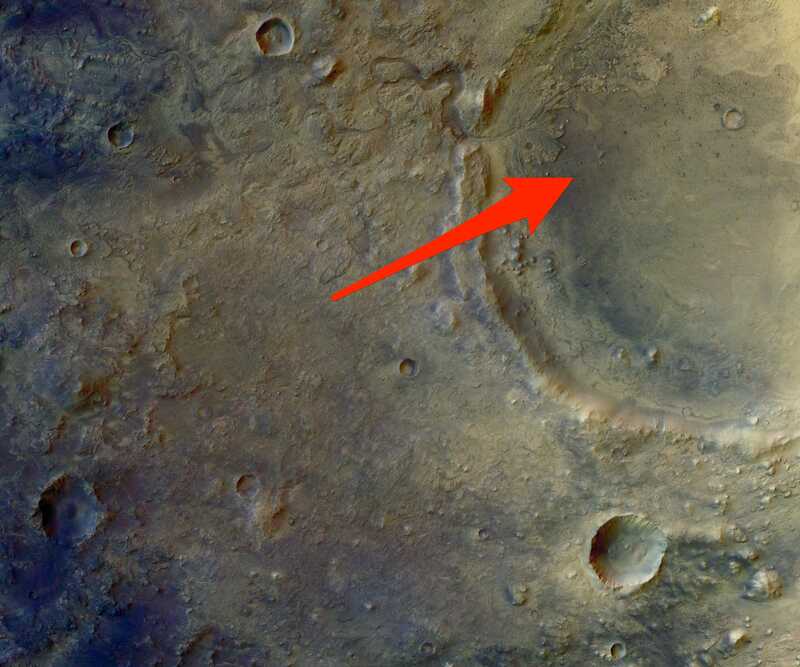 The Mars 2020 rover’s landing site is located in the northwest region of Jezero Crater, where a river appears to have eroded through the wall of the basin. “Jezero Crater’s ancient lake-delta system offers many promising sampling targets of at least five different kinds of rock, including clays and carbonates that have high potential to preserve signatures of past life,” NASA said. Details about how NASA plans to collect a sample of Jezero, launch it back to Earth, and safely analyse the Martian soil and rocks have yet to be announced.